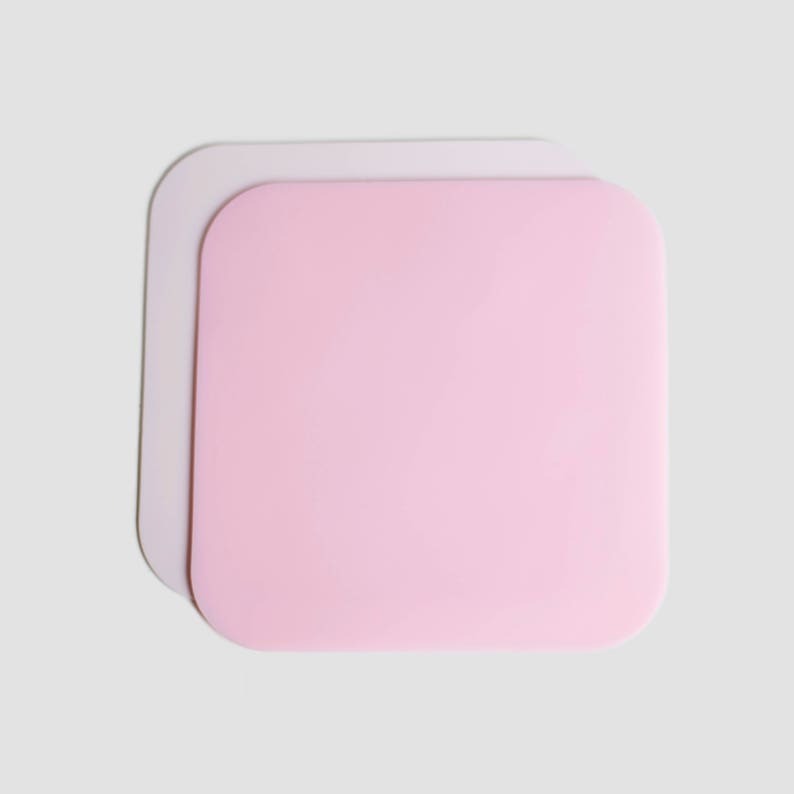 These 6”x6” silicone mats will be your new best friend! On your craft table at home they won't take up your entire work surface. Handy to grab and go, they're also the perfect size for your craft tote. Buy one or get a package of two and use your second mat in lots of other non-crafty ways! Or share with a friend! And so many other quick solutions...let us know your tips and we'll add them to our list! IF PURCHASING A TWO PACK, PLEASE WRITE IN THE BUYER NOTES WHICH TWO COLORS YOU WANT, OTHERWISE YOU WILL BE SENT TWO OF THE SAME COLOR. Sorry for my late review, I received these very promptly and earlier than expected I believe... great price and exactly what I needed..Will be back!! Katie was really helpful when I had an issue with one of my mats. She was quick to respond, very kind, and offered a replacement. I highly recommend both this product and the shop! What a great experience!! Were using one, under a small appliance, to keep it from slipping around. Perfect! Lovely shade. Only wish they came in more sizes. Thank you!